The Grand Canyon below a blue sky with few white clouds seen from the Kaibab Trail. 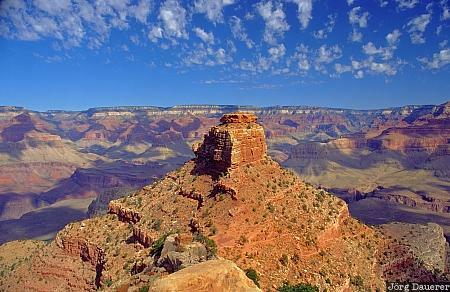 Grand Canyon is in northern Arizona, United States. This photo was taken on a sunny day in October of 2000.